Please place your Easter Lilies order this week and help us beautify the sanctuary in time for Easter. 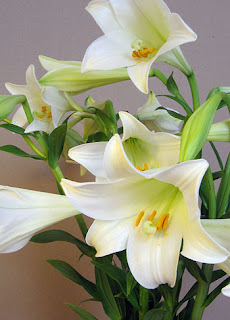 Easter Lilies are priced at $10.00 per plant and can be donated in memory/honor of a loved one. To order, please fill out a form this Sunday and place your payment in an offering envelope. If you would rather make a donation in person, simply stop by the office between Monday-Friday from 9am-12pm and place an order with the Office Administrator, James Lee.